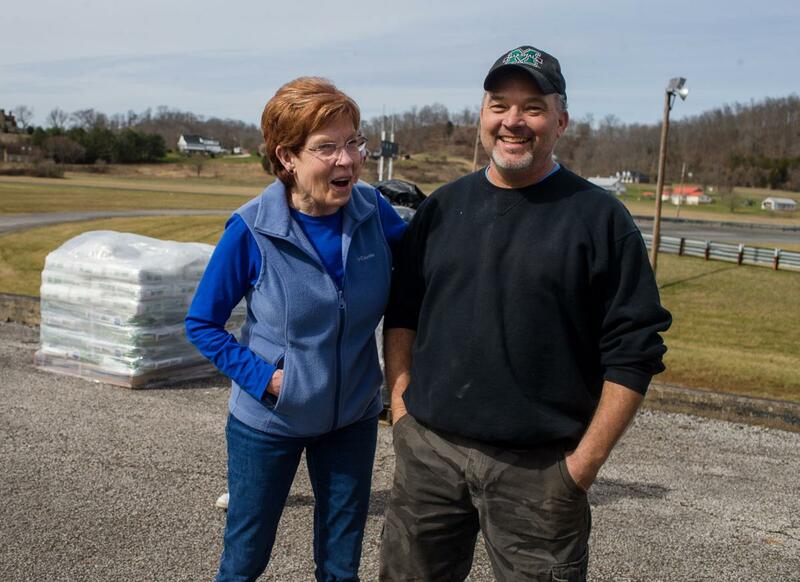 Ona Airpark and Speedway co-owner Lynn Bower (left) chats with Bill Rose outside of his hangar. ONA, West Virginia — Not all economic hubs are found stacked into a downtown metropolitan area. Some, it seems in West Virginia, can be found so far out a roller coaster of a two-lane back road, the uninitiated may nervously check their GPS to make sure they aren't lost. Spread out on 120 acres of about as picturesque as Mud River bottom land can appear, the Ona Airpark and Speedway - and the handful of independent businesses it houses- is thriving more than ever as one of the Tri-State's hidden gems for business and fun. Tucked in about five miles north from U.S. 60 in Ona and Milton's city limits, the airfield and speedway have been a community landmark since at least the 1960s, mostly housing and serving private single and twin engine propeller planes. The speedway is West Virginia's only asphalt track, mixing national competition with local talent for a full slate of races throughout summer and fall, drawing around 500 spectators into the valley each race weekend. In 2007, Ona Airpark and Speedway sold longtime operator Donnie Chapman to Bill and Lynn Bower of Fort Lauderdale, Florida. The Bowers, who have been involved in aviation since the 1980s. They were originally looking to build and rent hangars at nearby Pompano Beach Airpark, but learned of Ona through their son who is a doctor at Cabell Huntington Hospital. What was planned as a quiet way to collect revenue in retirement, Lynn explained, quickly turned into a daily operation - and the airport has likewise expanded with growing business and enthusiasm for private flight. When they bought it in 2007, Ona Airpark had 16 hangars housing around 20 airplanes. In 2019, it's more than doubled to 42 hangers and 52 airplanes with a current waiting list currently stacked 15 people deep. "It's gotten so busy. You can't just sit back and collect the rent," Bower laughed. "It's been great. I think maybe 20 percent of the people who have airplanes here moved from other airports." Colorful crafts pleasantly hummer in and out on occasion - a far cry from the dreaded cluster of commuter airports. It may look like a sleepy operation tucked behind the back roads, but there is great deal of activity happening at the airfield every daily. 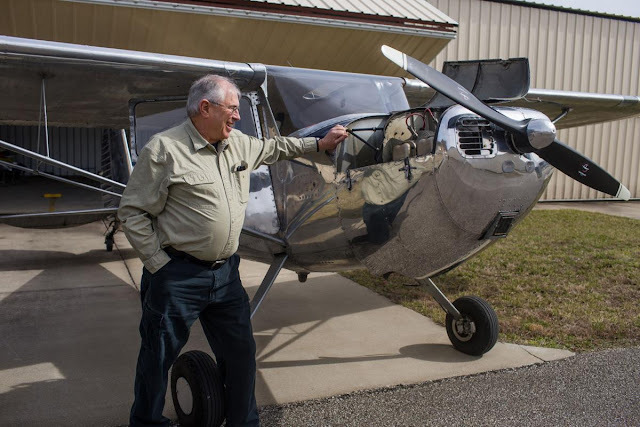 Currently, Ona Airpark houses the 50-member Ona R/C Club for radio-flyer enthusiasts, a Civil Air Patrol detachment, the Hangar 9 Aviation flight school, the TGL Aviation aircraft maintenance facility, and Carbon Fiber Composites, which designs and molds aircraft and parts. The site also houses a rental event venue with a full kitchen - a former restaurant the Bauers are actively seeking staff to help reopen to accompany their regular operation. In one of the newish hangars beyond the racetrack, Brian Alley's workshop buzzes with vacuum molds creating prototype parts as part of a contract with Safari Helicopter. 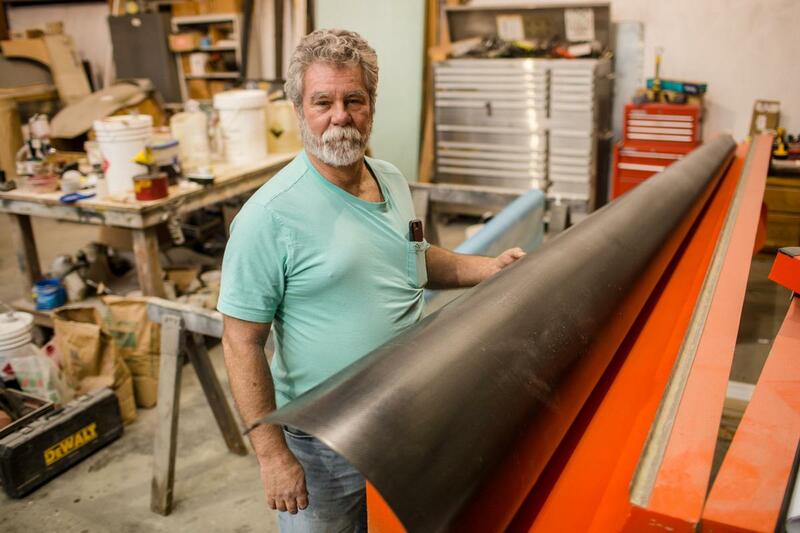 As the president of Carbon Fiber Composites, Alley has gone from conceptual drawings to flying models with three different projects for national companies. For aviation enthusiasts, his hangar looks something like Santa's workshop - building toys for a luxury market. It's been up and down, he explained, but right now the getting is good. "When the economy is down, the toys go too," Alley said. "But when the economy is good like it is right now, you get orders." About a football field away, down the row of hangars, Billy Rose wheeled out his handmade design. Built from scratch, his Long-EZ looks more like a spaceship or a Predator drone than the other single-engine birds cooped alongside in the hangars. Other pilots drive over an hour to the airpark, but it's always been a part of life for Rose, who grew up a few miles away in Ona. The appeal is at once basic and magical, explained Rose, a pilot since 2001. "It's flight," he smiled matter-of-factly. "When you're a kid, you want to be like an eagle. You grow up, and you still want to be like an eagle." 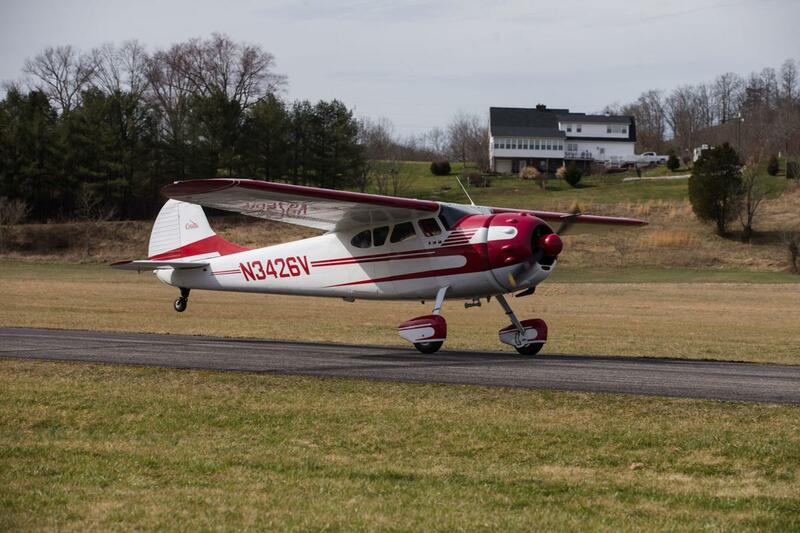 That drive, along with the ongoing promise of a well-paying career as a commercial pilot, has driven more people than ever to seek their pilot's license. But with a laugh, Bill Motsinger, the head instructor for Hangar 9 Aviation, explained the current status of it: too many wanna-be pilots needing flight hours to progress, not nearly enough instructors for them - since the vast majority of instructors have been hired away in recent years. "I'm busier than I want to be," Motsinger said with a wry smile. "The problem is that I can only do so many hours." But a pilot license is not even close to comparable to an automobile license, or one for a motorcycle or boat, Instead, it's more like going back for a college course. If you can learn to fly and land the plane in 12 hours, he explained, the other 30-plus hours are spent on book work in navigation, emergency procedures, radio talk, and everything that any other pilot would know. Thus, the drop-out rate for pilots-in-training is 70 percent to 80 percent before they can fly solo, he added. 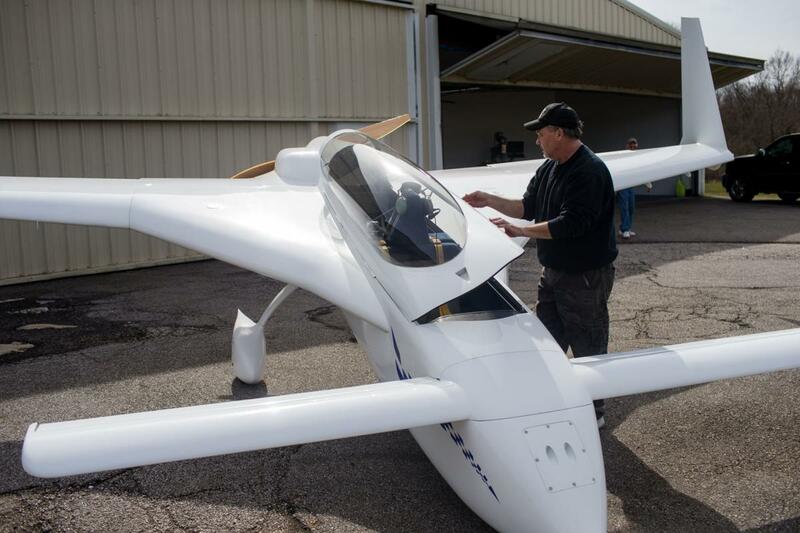 "When you get your license, you're just like a commercial airline pilot," Motsinger said. "It's exactly the same rules and the same airspace as commercial and the military. "You have to know all the rules. It's not like flying to Portsmouth for lunch." But the end-goal is worth it to those who master flight - regardless of the financial incentive to develop your wings. Once you see the world from that perspective, he continued, your perspective of the world changes with it.